So I’m not sure how we went from temperatures hot enough where I could only think of eating ice cream for dinner to sweater weather, but brrrr. 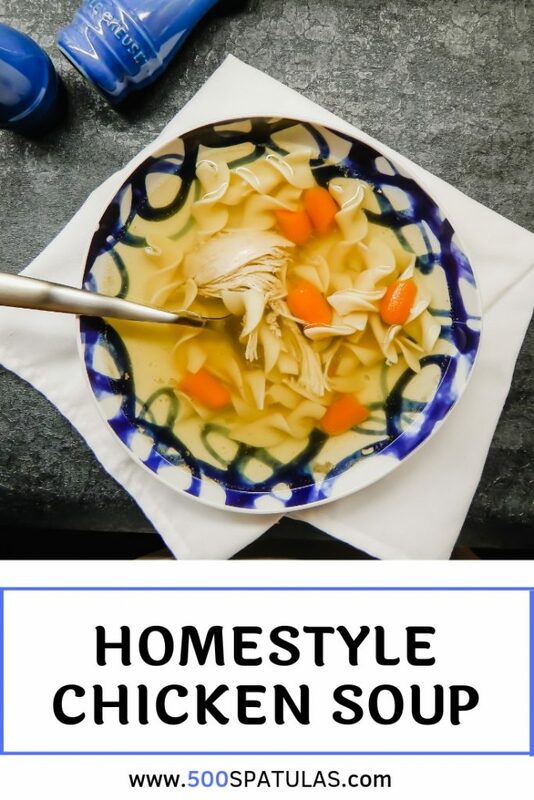 With the sudden temperature shift and Rosh Hashanah starting tonight, today seemed like the perfect time to share my favorite Homestyle Chicken Soup recipe. 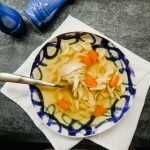 Chicken Soup is one of those amazingly comforting dishes that can immediately transport me directly to my parents’ home for weekly Friday night dinners. 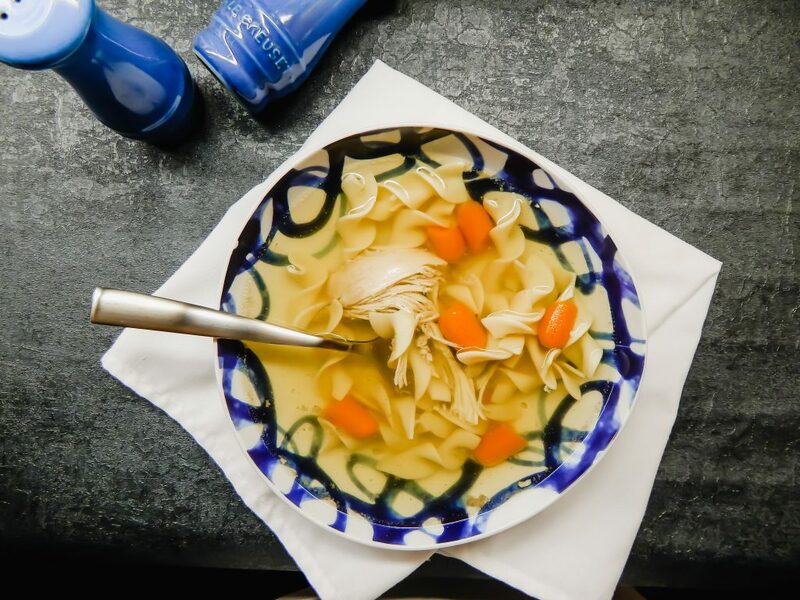 I love to make this Homestyle Chicken Soup for holidays, cold winter nights, and whenever someone is sick, because, Jewish penicillin–it’s real 🙂 I hope you love this soup as much as I do, and to all those who celebrate Rosh Hashanah, wishing you and yours Shanah Tovah. 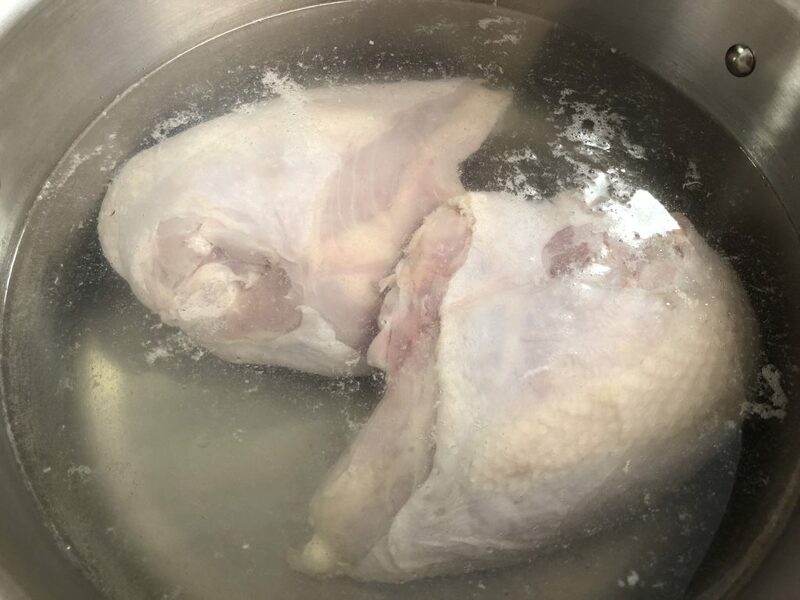 Place the chicken into a soup pot and cover the chicken with water, plus an extra inch of water above the chicken. Bring the liquid to a boil over high heat and remove any solids that rise to the surface (usually like a white foam) for the next several minutes. Return the soup to a boil and let boil for 30 minutes. Lower the heat to med-low and cook for 6 hours. After 2 hours, add more water if too much has evaporated. I usually add ~4 cups after 2 hours, and then another 2 cups after 4 hours. Discard the onion, parsnip, dill etc. Move the chicken to a cutting board. 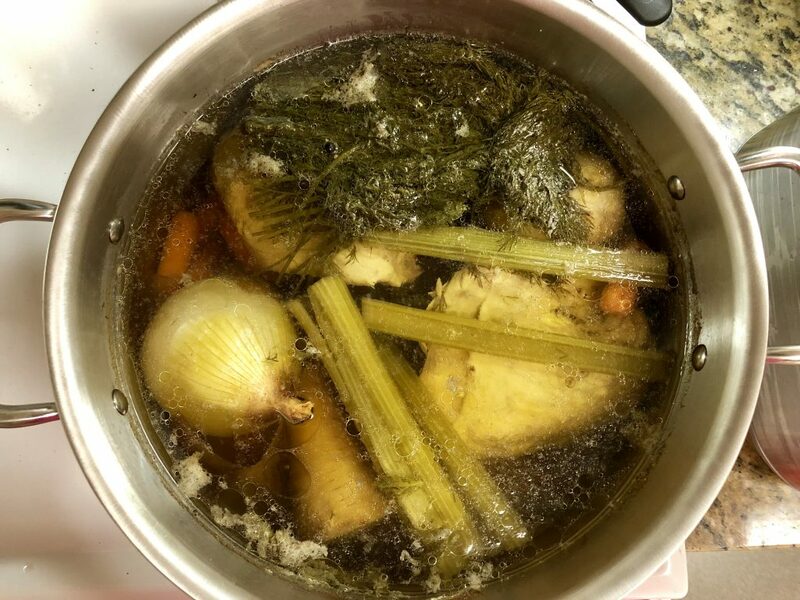 Discard the skin and bones and add the meat back to the soup. Pour the soup into a soup jar and refrigerate overnight. The next day, the fat will rise to the surface and harden and you can scoop it off with a spoon. Be bold and save it to use in Matzah Balls 🙂 Otherwise discard. Serve the soup hot and channel your inner Bubbie. 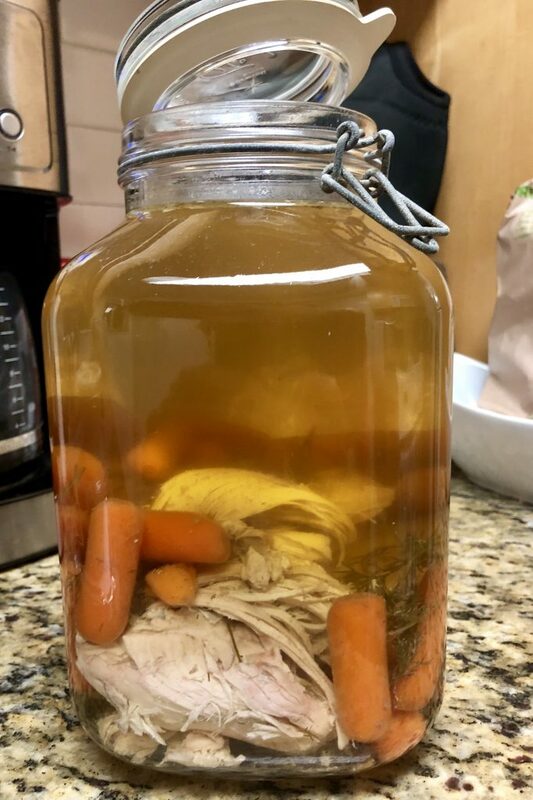 Place the chicken into a soup pot and cover the chicken with water, plus an extra inch of water. Bring the liquid to a boil over high heat and remove any solids that rise to the surface (usually like a white foam) for the next several minutes. Add in the remaining ingredients. 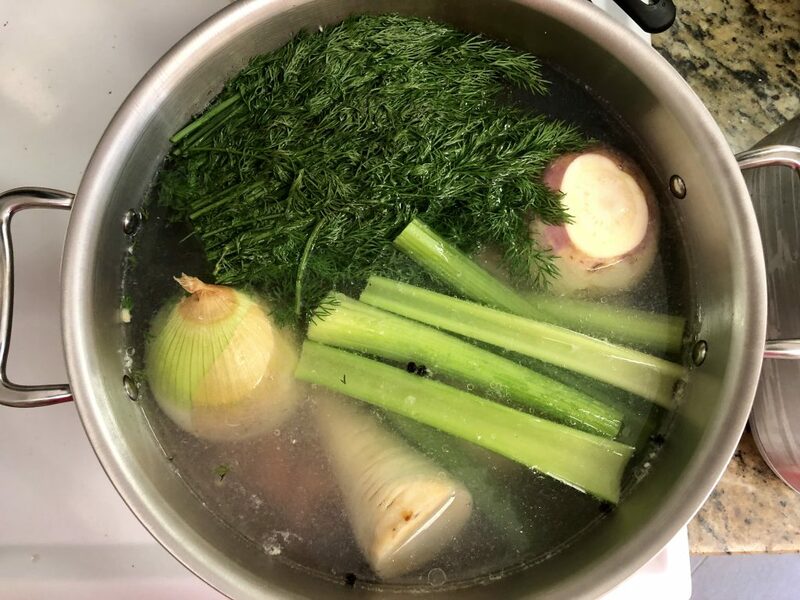 Return the soup to a boil and let boil for 30 minutes. Lower the heat to med-low and cook the soup for 6 hours. After 2 hours, add more water if too much has evaporated. I usually add ~4 cups after 2 hours, and then another 2 cups after 4 hours. Discard the onion, parsnip, turnip, dill etc. Move the chicken to a cutting board. Discard the skin and bones and add the meat back to the soup. 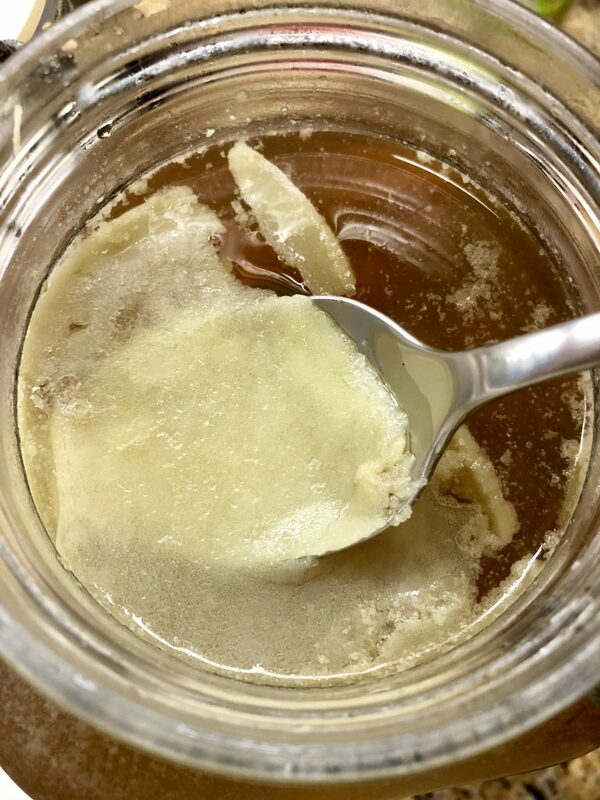 Pour the soup into a soup jar and refrigerate overnight. The next day, the fat will rise to the surface and harden and you can scoop it off. Be bold and save it to use in Matzah Balls 🙂 Otherwise discard. Serve hot.